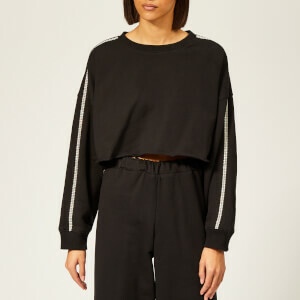 Long-sleeve cropped sweatshirt from Italian high-fashion activewear brand, NO KA’OI. 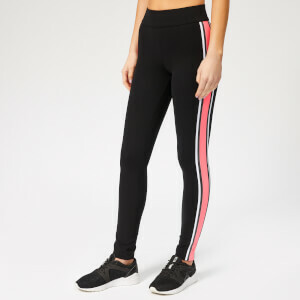 Distinguished by signature Kanawai stripe detailing along the shoulders and outer arms that add a pop of neon colour to offset the all-black colourway, the ‘Ike’ top is cut from soft cotton and designed with a classic ribbed crew neck. Complete with a triangular logo stitched to the nape. Lined with breathable French terry.